Your donors may not always be thinking about you. I know, it's shocking. Even our most thoughtful, dedicated donors have their own lives and busy schedules. Giving to your nonprofit may slip their minds occasionally. What can you do to make sure it's easy and convenient to donate, so that it's a no-brainer for people to give to your mission? Taking donations online is a standard practice for any business or nonprofit. Still, some orgs hesitate to dive into or upgrade their online giving because of various hurdles—costs, unfamiliarity, technology needs, maintenance and more. Like most things in life, the reality is not as scary as you might imagine. Once you understand how online giving works and you have the tools to do it, you may find yourself wondering why you didn't take the plunge years ago. Overall online revenue grew by 14% over 2015 totals, with monthly giving growing at a rate of 23%. Web conversion rate — the percentage of website visitors who completed a gift — was up by about 8%. Your donors expect easy and convenient ways to donate to your organization. Now is the time to get online and mobile giving a part of your overall nonprofit fundraising strategy. So, no more excuses. Just do it. 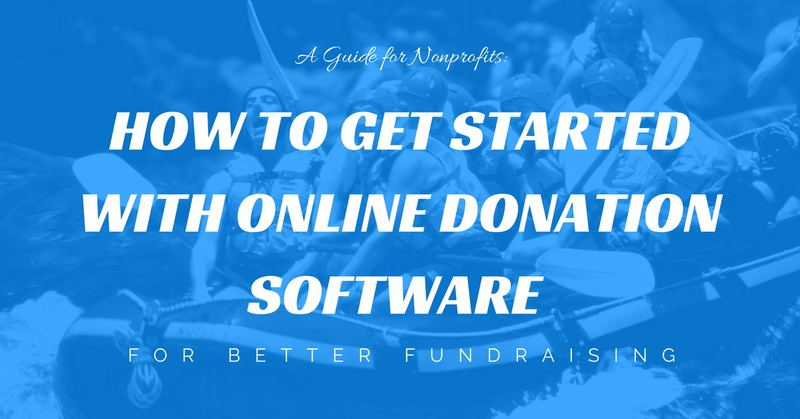 Make sure your online giving software allows users to set up recurring giving—whether that's a set monthly transaction or some kind of scheduled giving so that donors can set it up themselves. This feature will smooth away much of the friction of fundraising and asking donors for more. Recurring donations are becoming very popular, and your donors will expect it. This piggybacks on the last point, but if you ask donors to give smaller amounts on a recurring basis, they are much more likely to do it. It's so much easier to give $25 a month, rather than to write a big fat check for $300 at the end of the year, right? I'm thinking of my local public radio station that offers "sustaining memberships" now. It's simply a way for members to give a manageable amount each month, rather than a big lump sum once a year. It also takes some pressure of your organization when you've got regular donations coming in each and every month. Are you sending targeted, personalized emails to your donor base? Have you harnessed the vast amounts of data at your fingertips? If not, you're missing out and your donors aren't being reminded enough. They're missing opportunities to engage with you, and if they're not engaged, they won't care enough to give. While email has been around for awhile, it’s not dead and it's not going anywhere. Email is still a major staple in the way we communicate and run our daily lives. But we have to stay on top of our game if we want our message and our mission to cut through the noise. Email still proves itself to be a strong communication channel. It’s one of the only way to get in front of your customers directly. While email marketing is a strong channel, keep in mind that it should be a component of a larger picture. An email newsletter is more likely to fail if it’s disjointed from the rest of your marketing strategy. Here are a few ideas to make sure your email newsletter is reaching your donors, volunteers and members—and that it's an effective tool for your organization. Read these 5 Tips to Optimize Your Nonprofit Email Newsletter and resolve to actually do it in 2018. This relates to my point earlier about engaging your donor base. Social media is one of the best and easiest ways to stay connected to your audience and remind them that you need them, and that they have a real effect on your mission. Paid ads are relatively cheap on Facebook and Instagram. If you don't want to lose your donors, and you want to keep them renewing gifts to your nonprofit, you have to join them in the conversations they're having online. Find creative ways to do that, whether through Facebook Groups, Instagram posts and interactions, and of course through paid advertising. Read this post about Remarketing to Your Customers on Facebook to get a good idea of what is actually possible. Do you have a Donate button set up on your Facebook page? Have you requested access to Facebook Fundraising tools? Have you ever asked your most savvy members to create a Fundraiser on Facebook for your nonprofit? 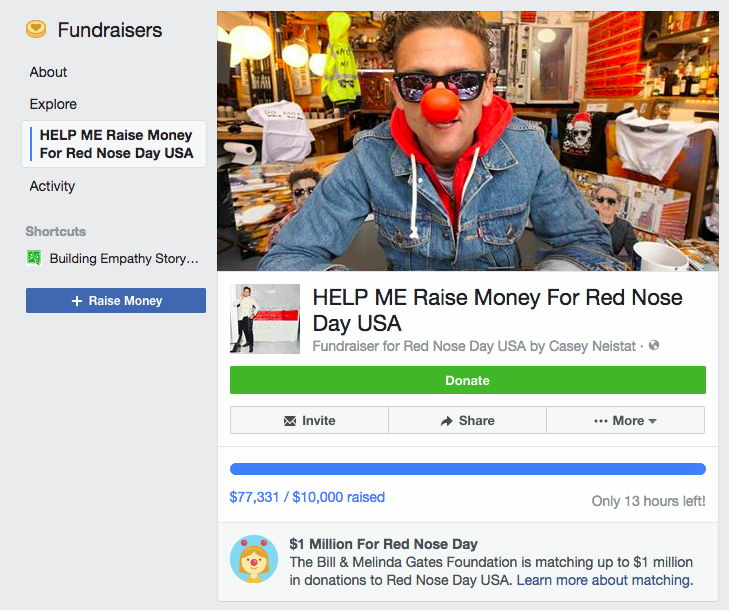 Check out this post for step-by-step instructions for raising money through Facebook. Finally, never take your donors for granted. People are being asked to give—generously, and by many organizations in addition to yours. 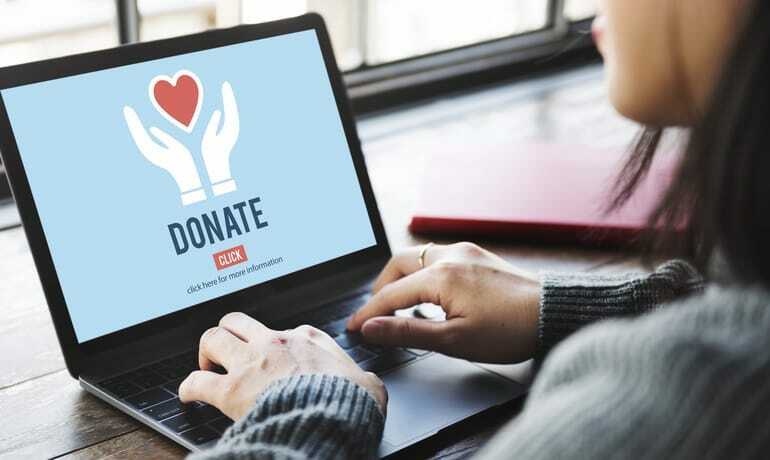 Make it easy for your donors to set up recurring giving with a solid, affordable online donation software designed for nonprofits, incentivize them to give regularly and keep in touch with them. Any questions? Let us know how we can help you get started!